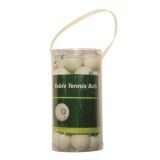 3-Star white table tennis balls are superior quality for tournaments. 40mm ITTF regulation size and weight. Consistent bounce and excellent spin. Extended ball play, 6-pack. 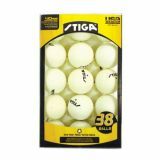 38-Pack White Table Tennis Balls are recreational quality for family play, 40m ITTF regulation size and weight. 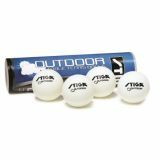 Outdoor Table Tennis Balls are ideal for outdoor play. Minimizes wind resistance, extremely tough and durable, water resistant. Pack of 4. 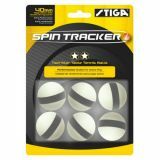 Spin Tracker Table Tennis Balls help develop technique to both generate and counter spin, improves concentration and focus, 40mm ITTF regulation size and weight. 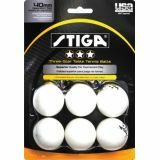 Pack of (6) 2-star balls. 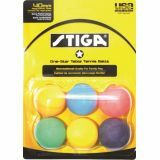 Pack of 24 official size balls for tablet tennis. Regulation size.